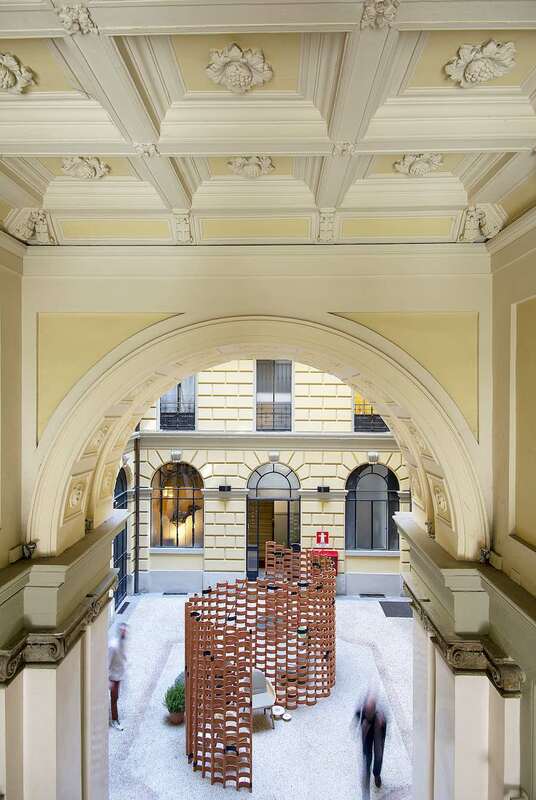 Moooi’s 2019 Milanese exhibition – Photo by Moooi. Party Light sconces, BFF sofa, Meshmatics chandelier and Walking on Clouds carpet. 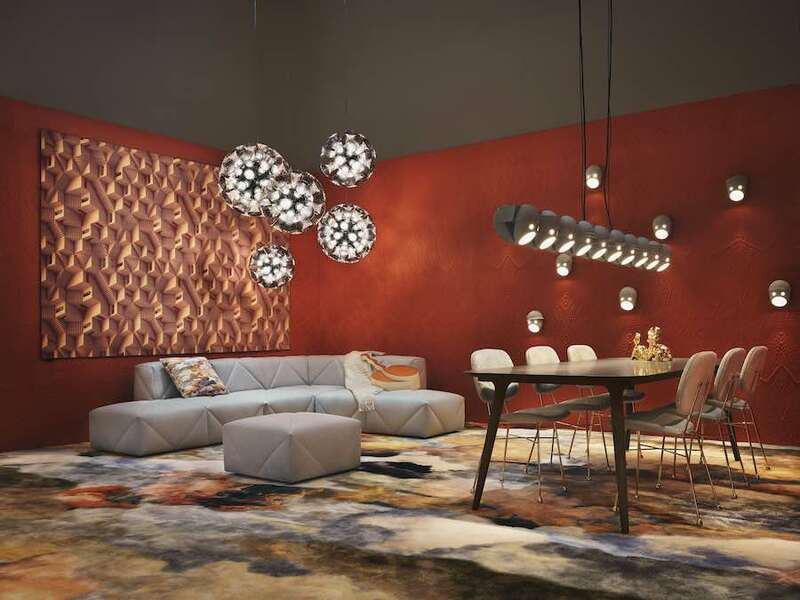 Milan 2019 – Moooi‘s 2019 exhibition at Milan Design Week wasn’t the usual big bang. 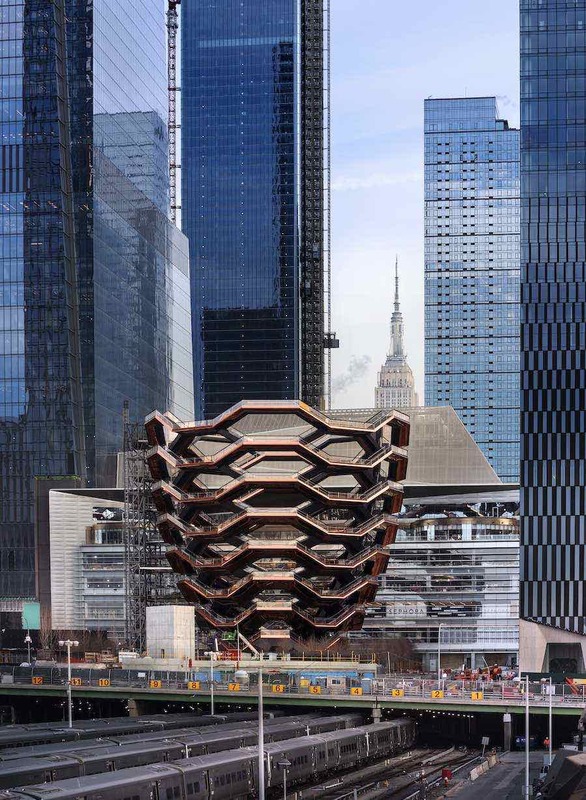 This is because instead of launching all its collections all together, the Dutch company has decided to host multiple showcases and join smaller design festivals such as London or Miami to embrace a more global approach. 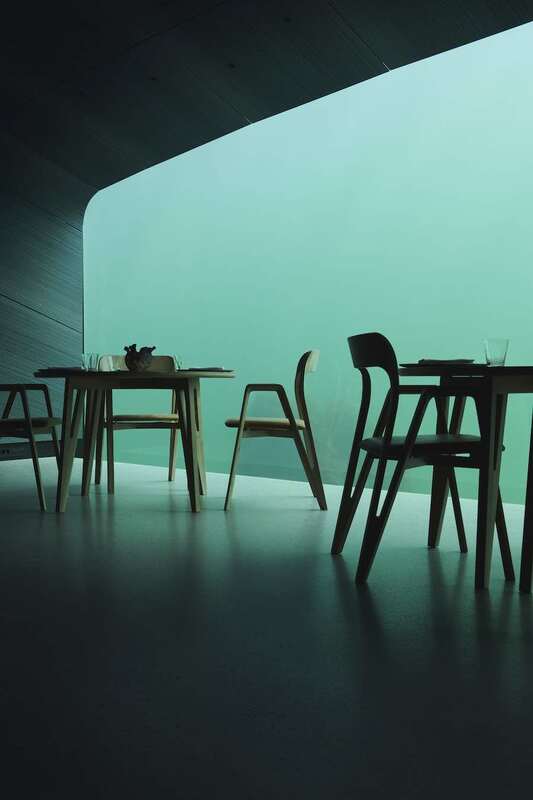 Milan’s novelties include The Party chandelier, by Kranen/Gille, The BFF Sofa by Marcel Wanders and more. Party Light chandelier, BFF sofa and Walking on Clouds carpet. Moooi extends the Party Lights collection, a family of 5 “ceramic wall lamps inspired by a clan of strong, captivating personalities,” which was launched at the end of 2018 in Amsterdam and Miami. Each of the quirky characters comes with distinct facial features and expressions and a large open mouth. The collection is now extended with a chandelier bringing all the family members together. 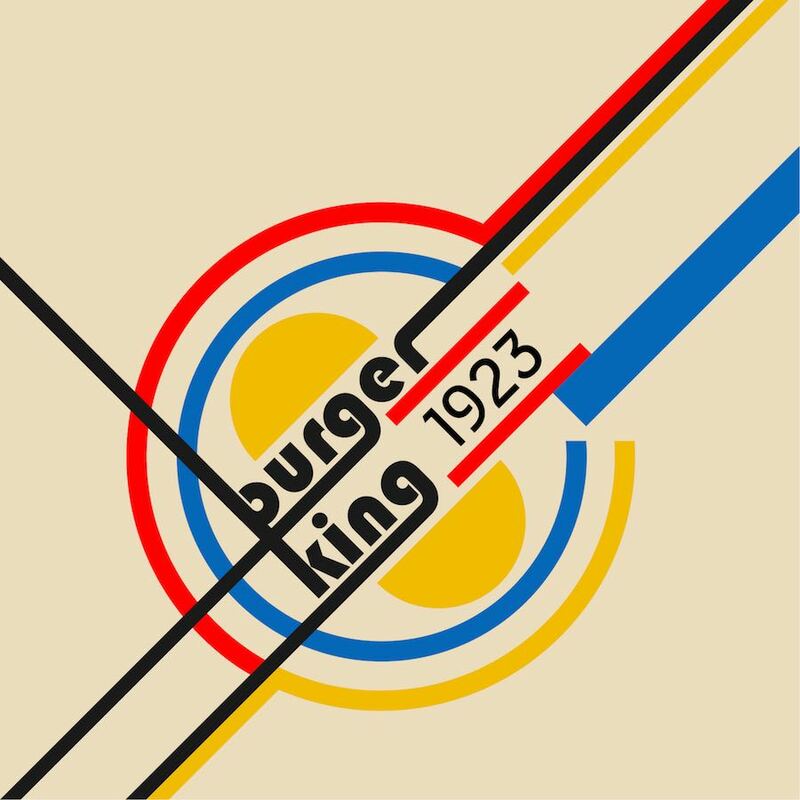 Design by Kranen/Gille. 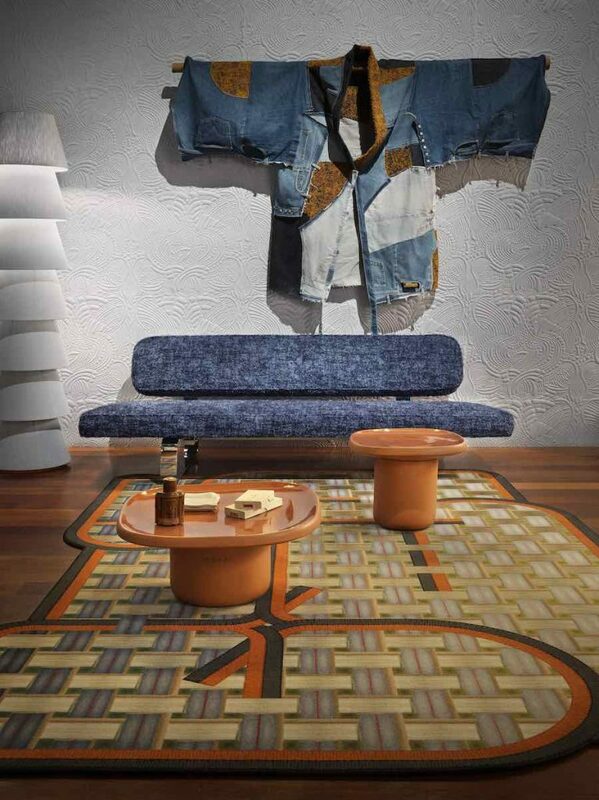 Party Lights chandelier + BFF Sofa in Tokyo Blue denim textile and Walking on Clouds Carpet. Marcel Wanders has designed the BFF Sofa, a soft yet firm modular sofa system, consisting of 17 modules plus a footstool. The quilted appearance of The BFF Sofa is inspired by the capitone technique, known for its characteristic deep buttoned upholstery. “In the BFF, such technique is blown-up, so one fragment becomes a full module”. 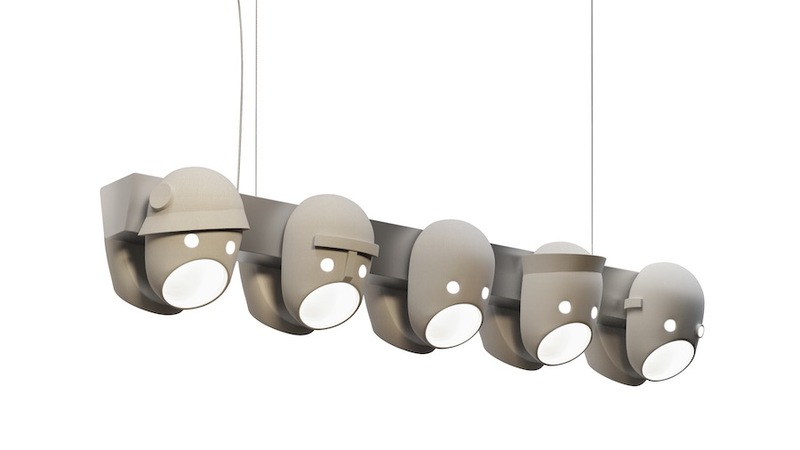 The Meshmatics Chandelier by Rick Tegelaar is now available in two sizes. 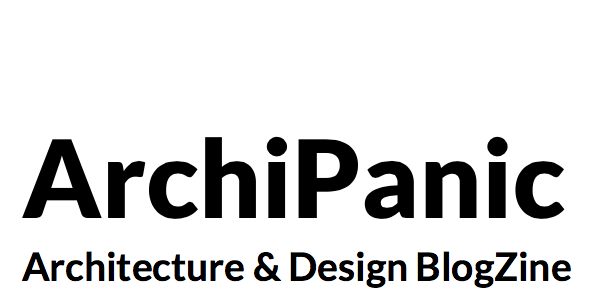 The lighting design truly reveals the full potential of wire netting, which is ingeniously stretched and moulded into three dome-shaped layers. 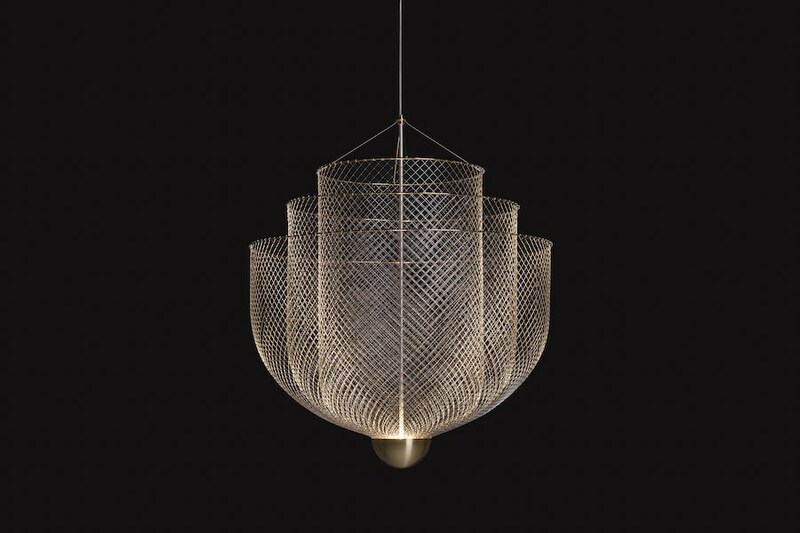 Its wire mesh structure reflects and diffuses the light upwards from an LED at the bottom. 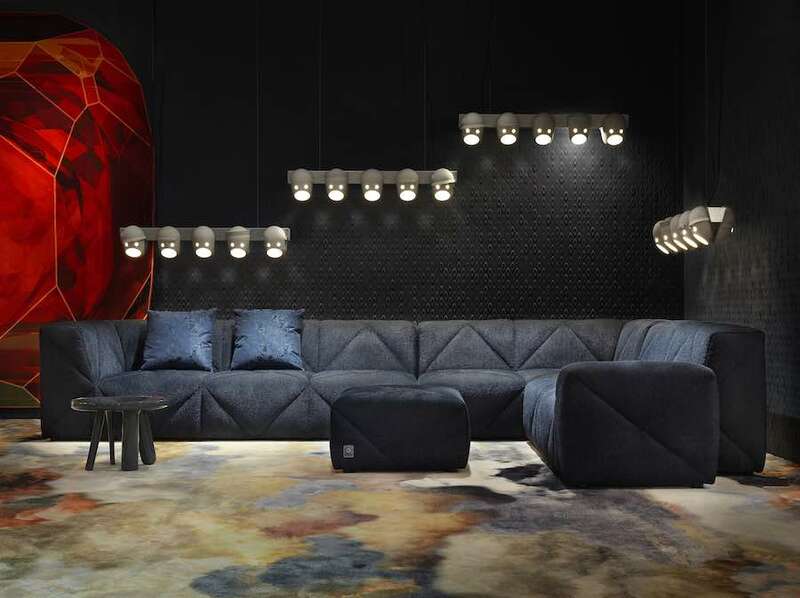 The Moooi Carpets brand launches the Nordic Collection which includes also the design Walking on Clouds by Front. 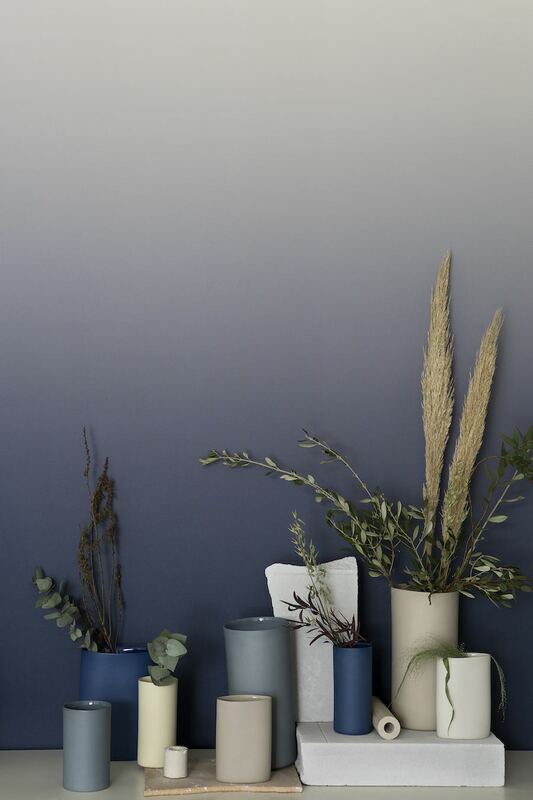 On show in Milan also Tokyo Blue, a revolutionary denim from Japan with high durability and resistance to fading and an extension of the Extinct Animals wallpapers[read more] which was developed with Belgium brand Arte. MOOOI sofa in with Tokyo Blue denim textile and Nordic Collection carpet. 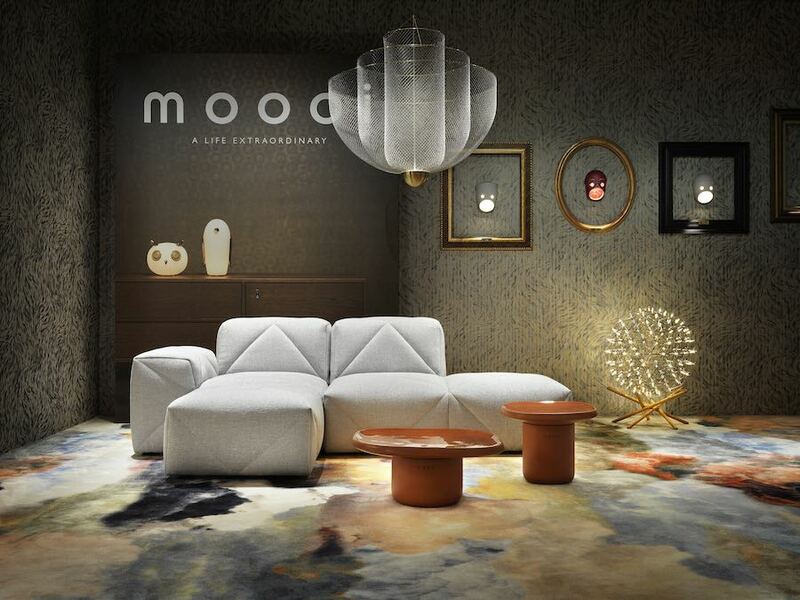 All images: courtesy of Moooi. 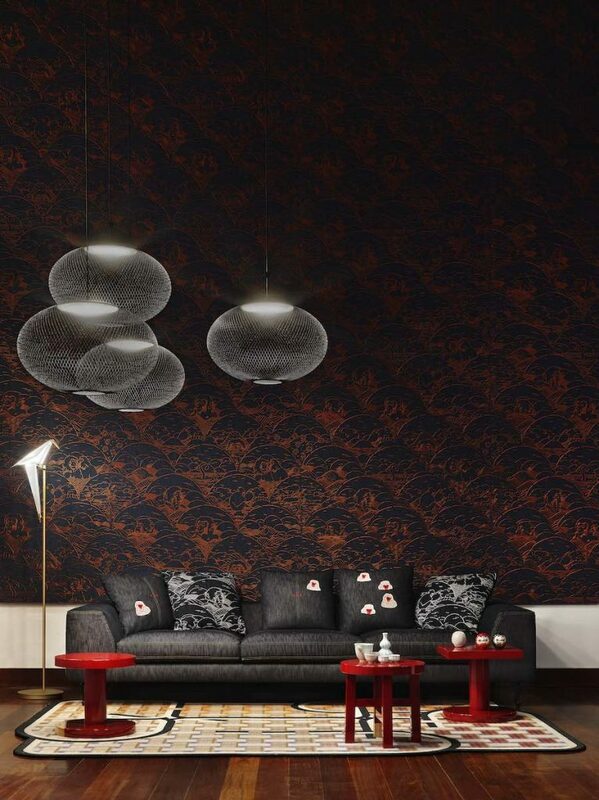 BFF Sofa with the new Indaco Macaque wallpaper from the Exinct Animals collections. and Nordic Collection carpet. 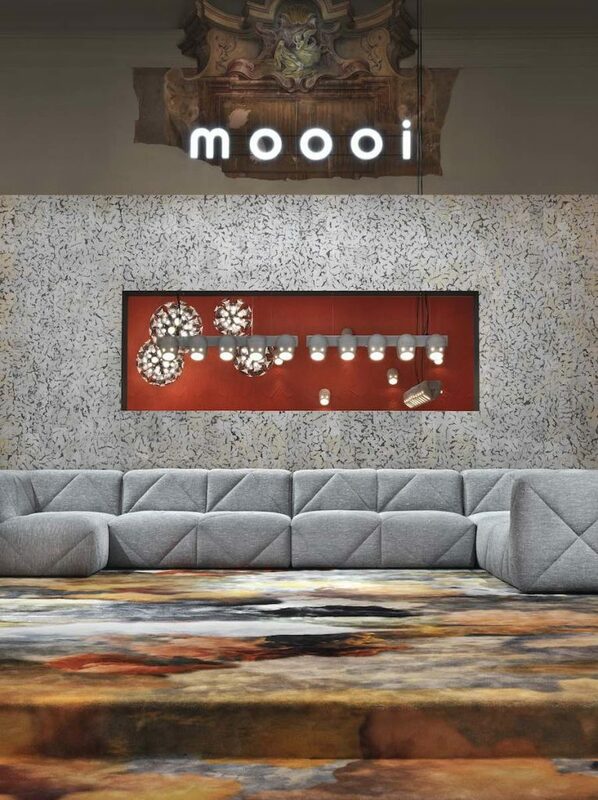 Moooi’s 2019 – Party Light chandelier.